Maintaining proper lines of communication can be the key to resolving differences in the workplace. Conflict in the workplace is bound to happen in an environment where people from different ages, walks of life and working styles come together. Workplace conflict can lower productivity and lower morale in the office. 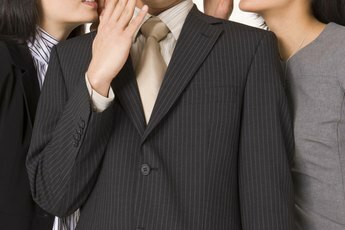 In order to combat workplace conflict, it’s important to find what’s causing the problem and then address the problem through proper communication techniques. A common cause of conflict in the workplace is a lack of communication and unclear expectations on how to accomplish goals. However, communication isn’t the only reason problems arise. When there are differences in opinion and an inability to accept these differences, conflict is bound to occur. Other reasons include people out for personal agendas rather than cooperating to reach an overall goal, competitive natures, personalities at odds and resentment due to other team members performing poorly. Undoubtedly, any workplace conflict can create a number of undesirable scenarios. The workplace can turn into an unproductive environment where people are unmotivated to work. Resentment between coworkers or toward the company itself could occur. If allowed to escalate, bullying and intimidation could also arise, causing employees undue stress and health problems. Communications styles can create conflict. Telling someone to do something rather than asking can put someone on the defensive. 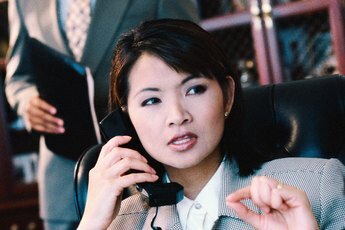 Communicating in a way that doesn’t suit the person can be another issue, such as giving too much or too little information. Having different ways of coping in communication can be another problem. Someone may withhold communication to avoid conflict and then later become confrontational. The sudden change in communication may cause further conflict. In order to correct conflict situations, using the correct communication techniques are key. Being as specific as possible is important so no misunderstandings arise. Neutral language is equally important. Avoid remarks that make sweeping statements, place blame or put someone on the defensive. Address the conflict in person rather than through emails and other methods. Stick to the issue at hand and avoid dredging up unrelated disputes that have no bearing on the current disagreement. Resolving the conflict means getting to a place where communication is open and different sides are respectful of each other. Conflict resolution means communicating the problem clearly and acknowledging there will be differences in viewpoints. Address the situation as soon as it arises, and communicate to both parties why the issue needs to be resolved. Then, develop ways to resolve the problem quickly and in a way that promotes teamwork. C.E. Chan has been a writer since 2003, contributing to magazines, online publications and education organizations. Her work has appeared in "Popular Dogs," "Dog World" and "The Architect's Newspaper," among other outlets. With a Bachelor of Architecture degree from the University of Southern California, Chan worked in the architectural field for several years before becoming a writer. What Is Defamation of Character in a Workplace?